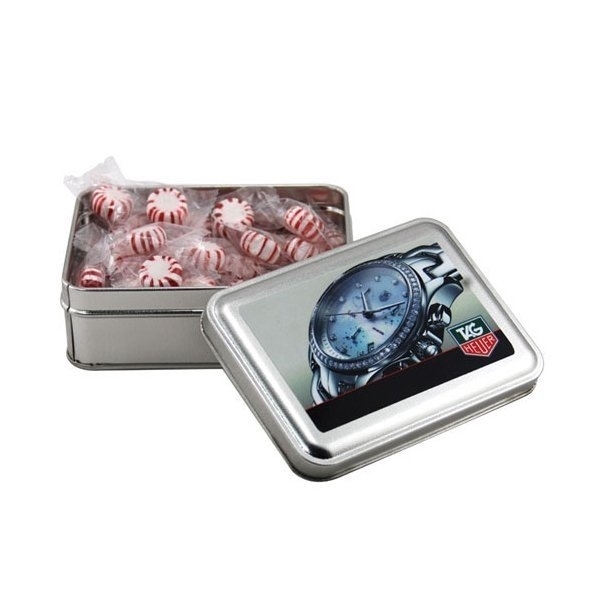 Rectangle tin filled with Starlight Peppermints. Cost was great! this highlighted our company's logo, which was printed quite satisfactorily. Its really great, especially for this low price. Everything as advertised. Fast delivery. This item was just what we wanted. Wonderful product.